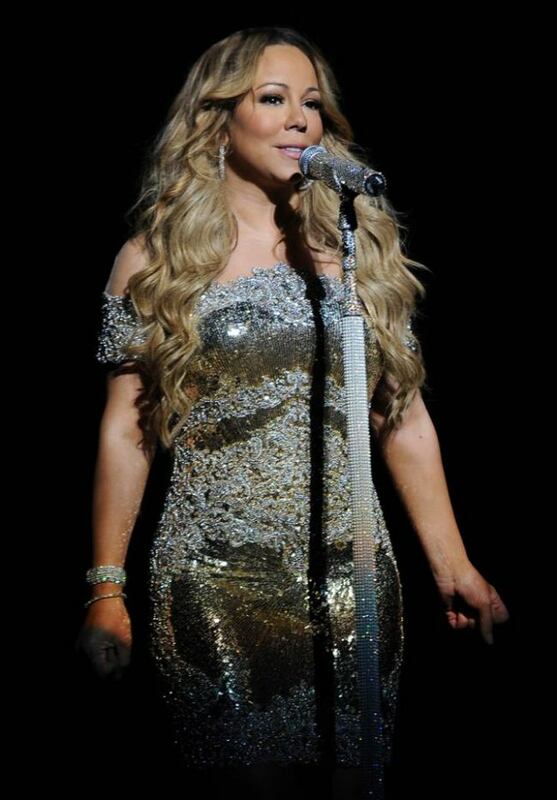 Globally recognized R&B diva Mariah Carey will return to Korea this fall to hold her first solo concert in Seoul in more than a decade, Yescom Entertainment said Wednesday. Carey is slated to perform on Oct. 8, however, according to officials at Yescom, the exact time and venue for the upcoming concert have not yet been decided. It has been reported that the fall concert will be Carey’s third time in Korea, after her first solo concert performance in 2003 and a short visit in 2009 to promote her “Memoirs of an Imperfect Angel” album. Now in her 24th year in the music industry, the five-time Grammy-winning artist has sold more than 200 million records worldwide, adding her name to the elite list of not only the world’s most successful female singers, but also best-selling music artists of all time. Carey released her self-titled debut album in 1990 and it went on to become a multiplatinum hit, selling more than 9 million albums in the U.S. alone. The album also gave birth to four No. 1 singles as well as earning a spot on the Billboard 200 album chart for 11 consecutive weeks. Reaping the benefits of her immediate success, the diva went on to release her second album “Emotions” a year later. Although the album was not as successful as her previous, it did reach multiplatinum status, and the eponymous track topped the Billboard’s singles chart. In 1995, she made music history with her single “One Sweet Day,” featuring Boyz II Men. The track managed to reign at the top of the Billboard Hot 100 chart for 16 consecutive weeks ― a record that the artist holds alone to this day. Although originally starting out as a pop/R&B singer, in the late ’90s Carey slowly began to deviate toward hip-hop. In 2001, the artist took a stab at an acting career and appeared in her first feature film “Glitter.” To say the film was a flop would be an epic understatement. The artist’s career hit a slump for several years until she resurrected herself in stride with the release of her 10th album, “The Emancipation of Mimi,” in 2005. The album debuted at No. 1 and featured the smash hit single “We Belong Together,” which went on to be named Song of the Decade by Billboard. In May, Carey unveiled her latest album “Me. I am Mariah ... The Elusive Chanteuse,” which debuted at No. 3 in the U.S.